Is your family getting ready to celebrate the Fourth of July? There are so many different ways that families celebrate. We really look forward to the fireworks every year. School may be out for the summer, but that doesn’t mean that children have to stop writing. With the holiday coming up, now would be a great time to encourage your child to write about their favorite traditions. 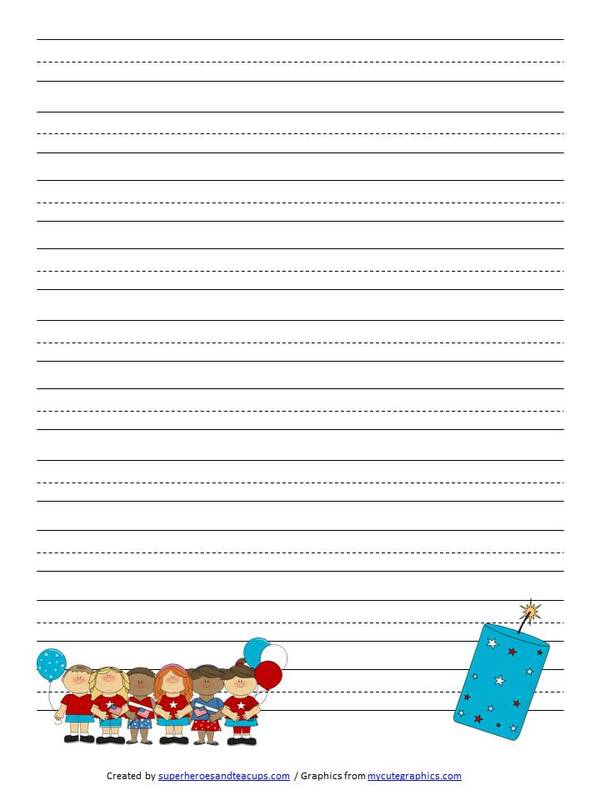 I have a fun patriotic handwriting paper for your child today. 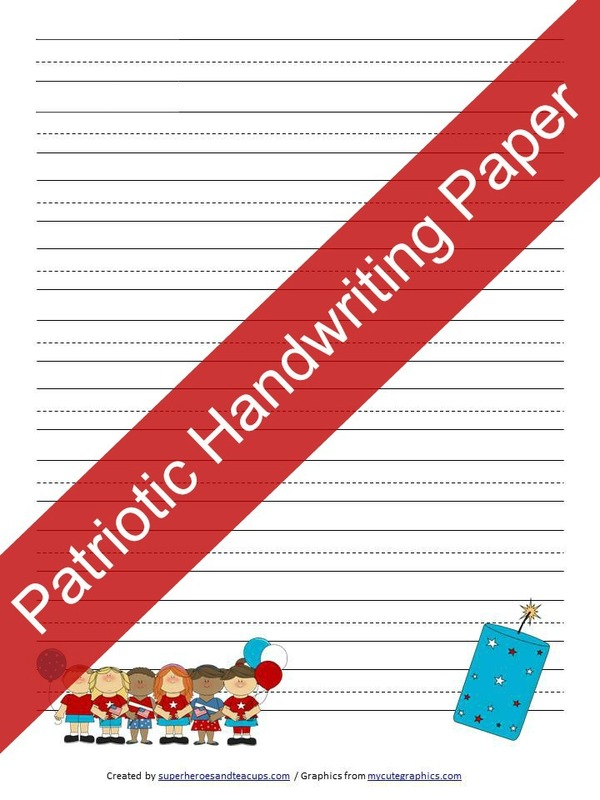 Your child can use this Patriotic Handwriting Paper in lots of different ways. They can practice writing letters, spelling words, vocabulary words, or anything else they may want to write.